Catch me at a personal-finance event at Subic on December 7, 2012! 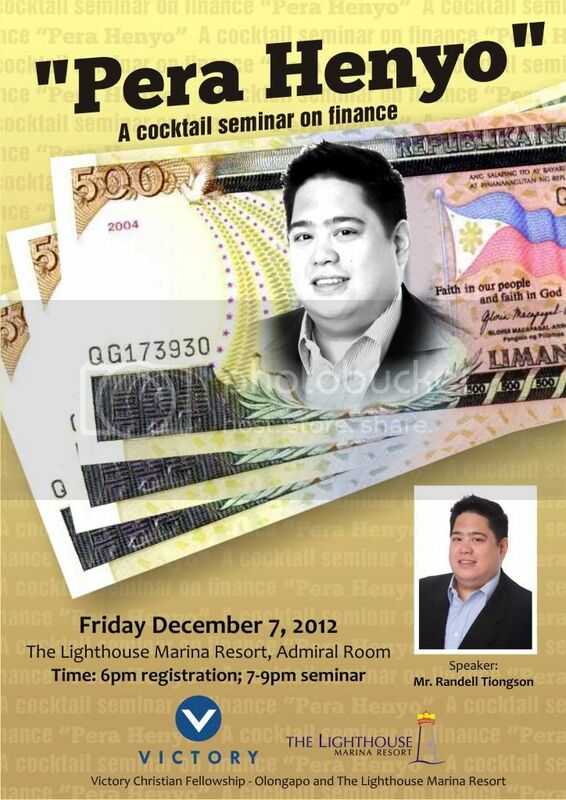 Victory Olongapo and the Lighthouse Marina Resort presents Pera Henyo: a cocktail seminar on Finance. If you’re from Olonapo & Subic, don’t miss this event!